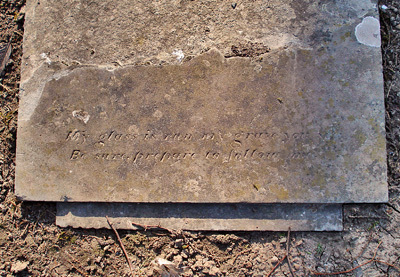 On the headstone in the picture to the left there is a very hard to read inscription without a name or a date. It says, “My glass is run, my grave you see, be sure prepare to follow me” which is a succinct little bit of preplanning advice. After all, what defines you enough to remain as your epitaph long after you’ve gone? One of the hardest choices I had to make was what, if anything, to put on my parent’s stone. I thought I remembered my mother saying once that she wanted the words, “She tried her best” or something similar, but since I couldn’t be sure she’s now stuck with “forever beloved” for eternity. I know, not very creative but I was under duress. The kids are left with the responsibility it seems. Take Kurt Vonnegut’s kids. They either get to choose this epitaph on his humor (according to Fox News anyway) or this bit about music and God. And yet what everyone remembers him for is the quote, “So it goes.” And then there are the classics. Those inscriptions that make having something to say even more difficult than it already is. What prompted me to post this though is the brouhaha over the approved “symbols of belief” permitted at the veterans memorial cemetery and a soldier’s family’s fight that he be remembered as a pagan. Maybe instead of an epitaph you just want a symbol or a statue? And would choosing a symbol instead of a string of words be any easier? Maybe just saying nothing makes the biggest statement of all? Interesting. I’ve always been creeped out by the catagory you forgot to mention…the ‘his and hers’ grave stone where one spouse has died and all that needs to happen is for the second spouse’s death date to be engraved. My h’s grandmother’s stone was like that. A year or so after Grandpa died, she had the stone replaced with a ‘his’ model. She decided that after living together for 50 years, laying together in death was more than she could bare! Actually that is what happened in my parent’s instance. They are buried in the same spot, a single plot, with the first to die being beneath the second. So there is no room for two headstones. The engraving was not done until the grave held the both of them. I think that procedure is fairly typical because space in this particular cemetery was very limited. I just found it strange “waiting” for the other shoe to drop as it were until there was a sense of closure and the grave could finally be marked.